The most pressing security challenges facing NATO today and tomorrow include terrorism, homeland threats, cyber attacks, information warfare, the Ukraine crisis, piracy, and WMD proliferation. 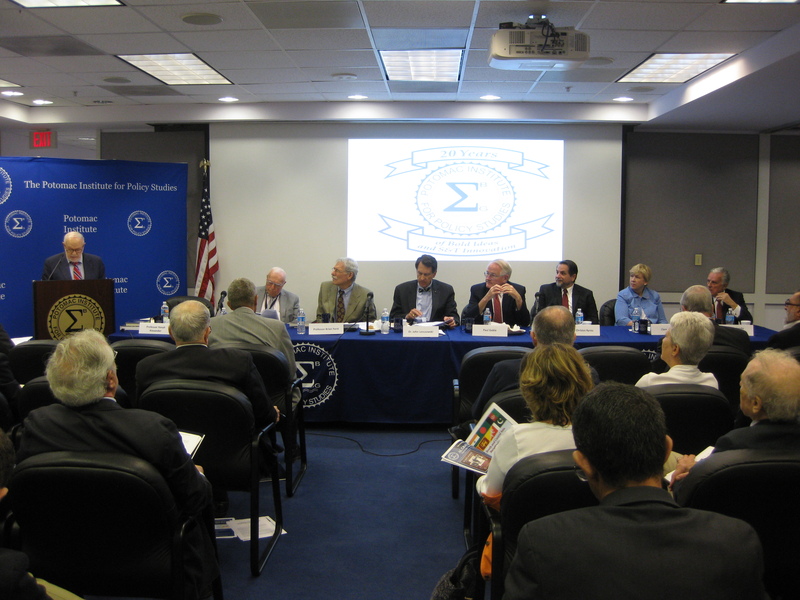 A new book NATO: From Regional to Global Security Provider was released on September 17, 2015 at a special seminar with the participation of several of the contributors of the study. Topics covered are national and regional challenges such as Europe, Afghanistan, Pakistan, Africa, and the Middle East. Future policy options for the Alliance based on the historical lessons were also analyzed. Mr. Shidlovsky has been Chief of Mission of Belarus in the United States since April 2014. Before coming to the U.S., Mr. Shidlovsky served as Director of U.S. and Canada Office of the Ministry of Foreign Affairs of Belarus, overseeing political and economic cooperation of Belarus with the United States and Canada. Between 2004 and 2008, Mr. Shidlovsky served in the Embassy of Belarus in the U.S. as Counselor covering economic, political, science and technology, humanitarian, educational issues. Prior to that, since 2001, he was Assistant to the Minister of Foreign Affairs of Belarus managing private office of the Foreign Minister. His first foreign posting was in Canada where he served as Second Secretary and Vice Consul for three years. Mr. Shidlovsky joined diplomatic service in 1993, after having graduated with honors from the Minsk Linguistic University as linguist and interpreter from English and French. Mr. Shidlovsky also graduated with honors from the Academy of Administration under the aegis of the President of Belarus in 2011 as specialist in international relations. Dr. Amatzia Baram is a professor emeritus of history and the director for Iraq studies at the University of Haifa in Israel. He served on the Israeli desk of military intelligence as an analyst when the Iran-Iraq began in 1980. His Ph.D. dissertation at the Hebrew University in Jerusalem dealt with Ba'thi Iraq. He has taught at the University of Haifa since 1986. 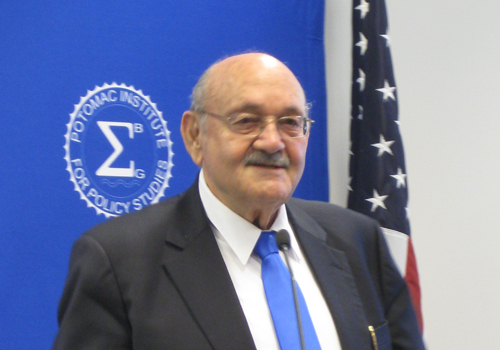 Between 1989 and the present Professor Baram has been a resident fellow at numerous international research institutions including St. Antony's College, Oxford University, UK in 1989 and 1990. He was a senior fellow at the Woodrow Wilson International Center for Scholars three times in 1990, 1997-1998 and 2003-2004 and twice at the U.S. Institute for Peace in 1997-1998 and 2003-2004. He served at the Brookings Institute in 2002-2003, was a senior fellow at the Rockefeller Foundation Center in Bellagio, Italy and taught as the Goldman Chair Professor at Georgetown University in Washington in 1998-1999 and 2010-2011. Professor Baram lectured on Iraqi society with an emphasis on the tribes of Iraq for the American military between 2005 and 2009. He has advised the Israeli government since 1980 and advised the U.S. government about Iraq and the Gulf during the Reagan, Bush, Clinton and Bush administrations. Professor Baram has been interviewed about Iraq by many TV and radio stations. Professor Baram has written four books and more than seventy articles, which appeared in journals and professional magazines. In 2010 his book, written in conjunction with two colleagues, Iraq Between Occupations: Perspectives from 1920 to the Present, was published. His most recent book, Saddam Husayn and Islam, 1968-2003: Ba'thi Iraq from Militant Secularism to Faith, was published in 2014. The purpose of this seminar was to focus on the interface between terrorism and the rule of law. Special attention was placed on legal practices related to detention, prosecution, and punishment of terrorists. Topics that were covered included current national, regional, and global risk assessments; surveillance; civil and military trials; international criminal court cases; and future outlook. ICTS Hosts A Special Seminar on "Terrorism Captives: Tactical, Legal, and Strategic Implications"
The Days After: Are Iran's Deadlines Endless?